ABC will live stream the Academy Awards for the first time on March 2, but plenty of viewers will be left out of the festivities. Although anyone with rabbit-ear antennas can watch the Oscars on television for free, ABC is tying the live stream to its Watch ABC service, which requires a pay TV subscription from a supported provider. AT&T U-verse, Cablevision, Charter, Comcast, Cox, Verizon, Google Fiber, and Midcontinent Communications all support Watch ABC, but Time Warner Cable customers are out of luck. And even if your provider supports Watch ABC, the stream will only be available in eight major cities: New York, Los Angeles, Chicago, Philadelphia, San Francisco, Houston, Raleigh-Durham and Fresno. 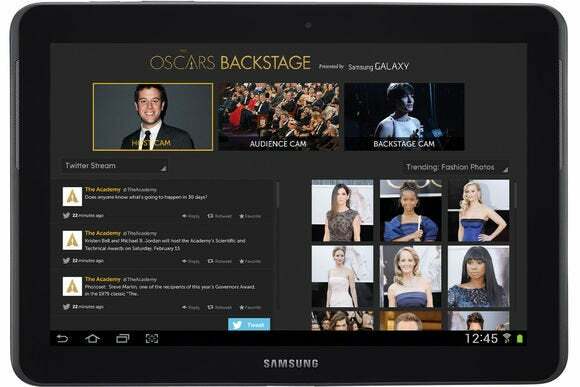 Viewers who are able to watch the Oscars online will get some extra benefits. In addition to the main television feed, the online stream will let viewers switch to alternate feeds, showing the Winners Walk, Audience and Press Room, and a “Thank You Cam” where winners can give longer speeches. ABC's iOS and Android apps will also include a social media feed and photo galleries. It's just too bad those perks aren't available to all Oscar viewers. According to Variety, ABC is putting up the paywall as a kind of leverage against cable, satellite, and telco operators. Because the network charges these providers extra to support the full array of Watch ABC programming, the Oscars are one more incentive for them to pay up. Incidentally, that explains why ABC and other broadcasters are trying to kill Aereo, a service that brings broadcast television—including the Oscars—to smartphones, tablets and set-top boxes without paying the networks a dime.